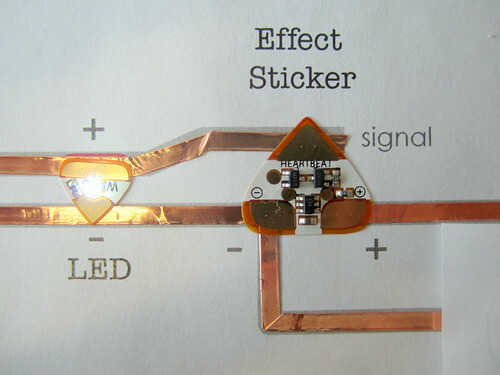 Use the effect stickers to make your LEDs shine different patterns, depending on which sticker you choose: blink on and off, fade in and out, pulse in a heartbeat and twinkle like a star. 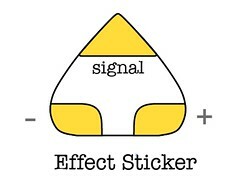 The effect sticker has three pads: + and – for power and a signal pad that generates the pattern. 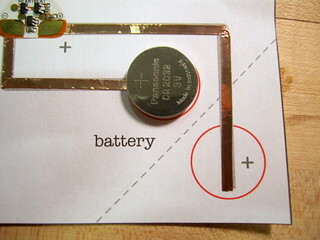 To use the effect sticker, first you need to connect the + and – pads of the effect sticker to the + and – of the battery, respectively. 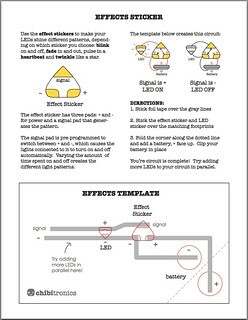 This provides power to the effect sticker. 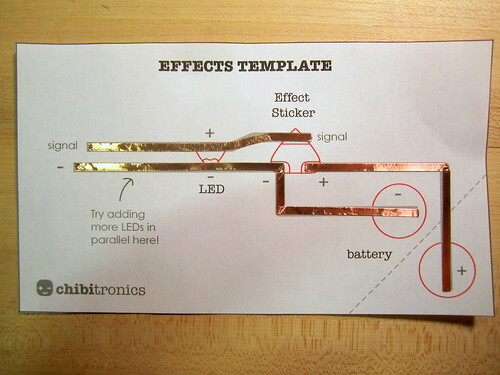 Follow the tutorial below to create a test circuit for your effect stickers. Then cut out the template on the bottom of the printout. You’re done! 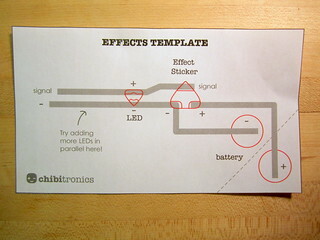 The LED should light up with the pattern of your effect sticker. Below is a video showing the various effects: fade, blink, heartbeat and twinkle. 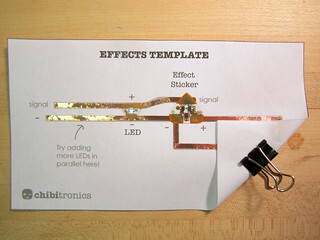 TRY THIS: add more LEDs to your circuit in parallel! You can also create alternating effects with a single effect sticker. In this circuit, some LEDs are connected to “+” and signal. 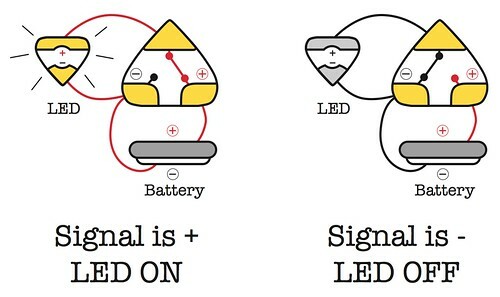 These LEDs turn on when the signal is “-” and off when the signal is “+.” Other LEDs are connected to signal and “-.” These LEDs turn on when the signal is “+,” and off when the signal is “-.” The result is that the LEDs light alternate lighting up. 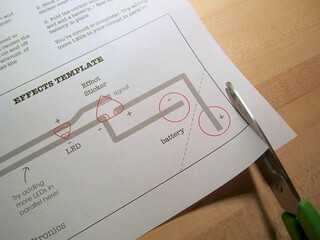 Use the test circuit template below to create alternating light patterns.